Programmatic technologies make it easy for criminals to use businesses to infect millions of consumers. Criminals are also hijacking programmatic advertising and giving publishers a bad name. But where do they begin to protect their reputation and revenue with anti-malware software that keeps them ahead of the bad guys? 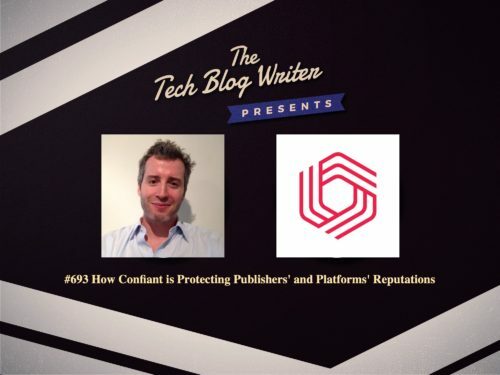 A company called Confiant is protecting publishers’ and platforms’ reputations, revenue, and resources with always-on anti-malware software that provides protection for desktop, mobile, and video ads. I wanted to learn more about their sole focus of helping advertising platforms and publishers rid the world of malware and how this focus enables them to evolve quickly and meet their clients’ needs for defeating the bad actors trying to undermine the industry. We get excited when we can take on big challenges, big competitors, and big technical problems. We take the time to explore and understand our client’s real underlying problems so we can find the right solution. Confiant, CEO and founder, LD Mangin is a startup veteran. I invited him onto my daily tech podcast to learn more about how he is working to stop the scourge of fraudulent programmatic ads that are disrupting the market. Confiant is the sixth startup Louis-David (“LD”) has been a part of and the second he co-founded. When not busy keeping the Confiant team aligned and caffeinated, LD is most likely planning his next offshore sailing adventure or working on his yoga headstands. If you want to gather around a virtual campfire and have a chat or ask me a question, you can message me, leave a virtual voicemail or even buy your friendly podcast host a coffee.